Our story is a uniquely "global New Zealand" story that started many years ago when Linton, our chief travel director, avid golfer, languages expert and true believer in the transformative power of travel visited Kauri Cliffs, New Zealand's premier golfing destination. The round that day was slow not because of "poor play" on a championship golf course, but because of the stunning views and the enchantment of this immaculate golf property. 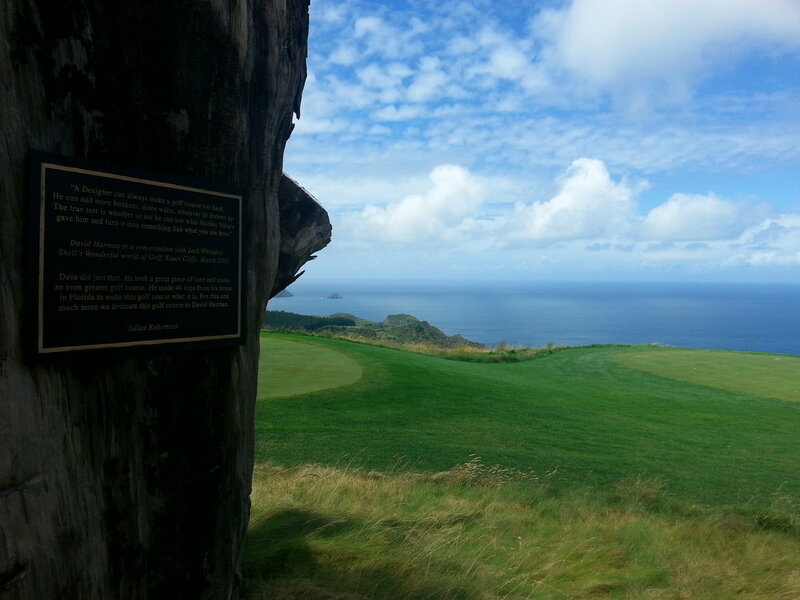 Standing at the top of the property on the 15th by the Kauri Tree stump, Linton was struck by the crystal blues of the Pacific Ocean, the familiar greens of the fairways and the icecream whites of the clouds as they floated by. 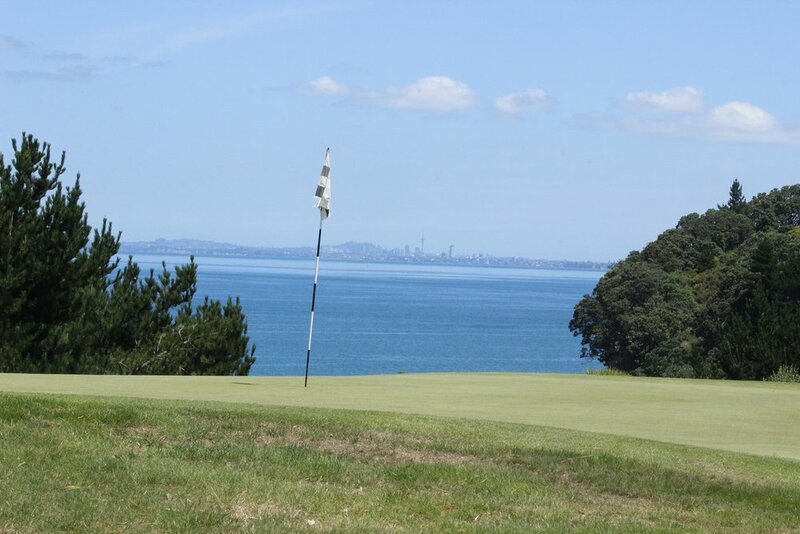 Thinking of golfers he had met around the world in Australia, the US, the UK, Argentina, Japan, China and other places who had expressed a great desire to travel to "beautiful New Zealand", the genesis of a luxury golf tourism company was born! Today we welcome golf visitors from all around the world, the majority of them travelling to New Zealand between October and April, the optimal Spring and Summer months. They take tours to all of New Zealand's major marquee golf courses and golf regions. See some of their testimonials and feedback here. Experience the blues, greens and whites of New Zealand! During the "off season" from April to October when the strains of winter lessens the desire to be out on a New Zealand golf course, we take our fellow Kiwi golfers on standard and bespoke golf tours to warm and exciting golf destinations around the world. Some of these tours, such as our Premium Malaysia tour, or our Premium Vietnam tour, include the opportunity to play in multiday tournaments alongside other traveling golfers from different countries. All these events are designed for the golf traveler to experience new golf courses, countries and all the travel activities associated with those destinations. We are a proudly Kiwi owned and operated business, deeply committed to growing the game - this is something we deeply believe in - and allowing all golfing fans the opportunities to travel and give back to the sport that we all love and enjoy. Leveraging our many years of experience, skills and knowledge within the golf and travel industries, we are expert golf tour planners who seek to work with our valuable clients, to curate exceptional itineraries and provide a premium level of service. Read our company profile here and come join us this year in New Zealand, the golf destination of the year, as we celebrate all things golf related! Read the FAQS and contact us now to book your premium golf tour.